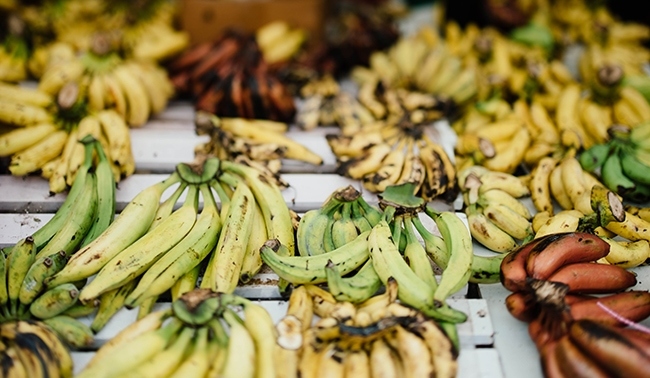 If you’ve ever found yourself confused about the differences between plantains and bananas, this is the article will clear all of that up. 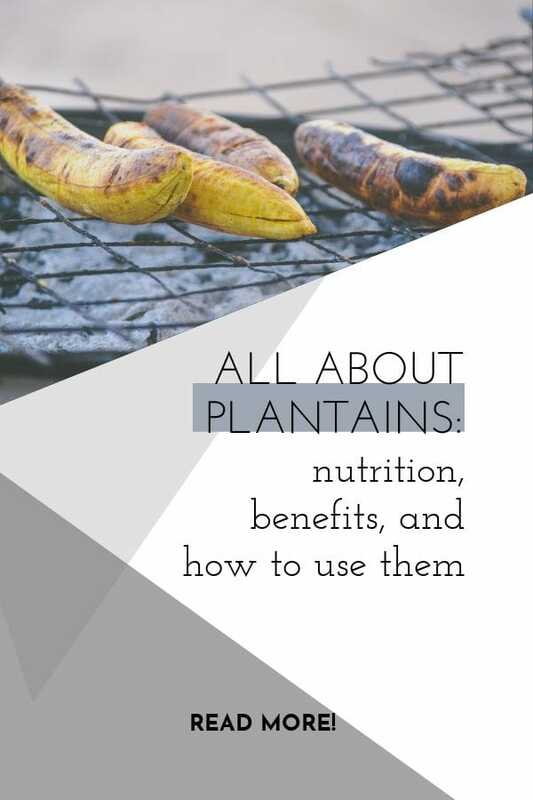 I’ll cover what plantains are, what sets them apart from bananas, their nutritional profile and benefits, and how to cook them. Maybe you’ve seen these long, burly-looking fruits at the grocery store and assumed they were bananas on steroids. Maybe, like my mom, you assumed plantains must be directly equivalent to a banana, so you peeled one and tried to eat it raw. Or maybe you’ve seen all the plantain recipes floating around the internet and wondered what the heck the big deal is. I don’t blame you. After our experience trying to eat a green plantain raw when I was a kid, I had sworn off the things. But, of course, things change. Once I grew up and moved out on my own, I got my hands on some plantains again and they quickly became a passion of mine. Now, I live in North Dakota, and these tropical fruits aren’t exactly popular around here. Folks ask me about plantains all the time! What do I like about them? How do you make them? What makes them different from bananas? Here we go — the article to end all articles on my favorite food: plantains. Looking at a plantain, you might guess that they’re related to bananas. And you’re right! Plantains are bananas. Sort of. The plant’s species is Musa Paradisiaca. They’re a banana cultivar, meaning they’ve been produced due to selective breeding of an a banana plant. Essentially, they’re a subgroup of bananas. Sometimes called “cooking bananas,” plantains are thicker and starchier than bananas. That higher starch content means you have to cook plantains before you eat them. You could eat a ripe (yellow/black) plantain raw, since some of the starch has converted into sugars, much like a banana gets sweeter as it ripens. But a ripe plantain still has a great deal of starch, and I guarantee you’ll enjoy it more when it’s cooked. Bananas originated from the Asia-Pacific region. Now, plantains are a staple crop in Africa, Latin America, the Caribbean, and Asia. Together, plantains and bananas embody the fourth most important food commodity in the world. Plantain crops produce year-round, making them an important food source for many of the countries they’re grown in. Actually, these hardy fruits provide more than 25% of the carbohydrate requirements in Africa! 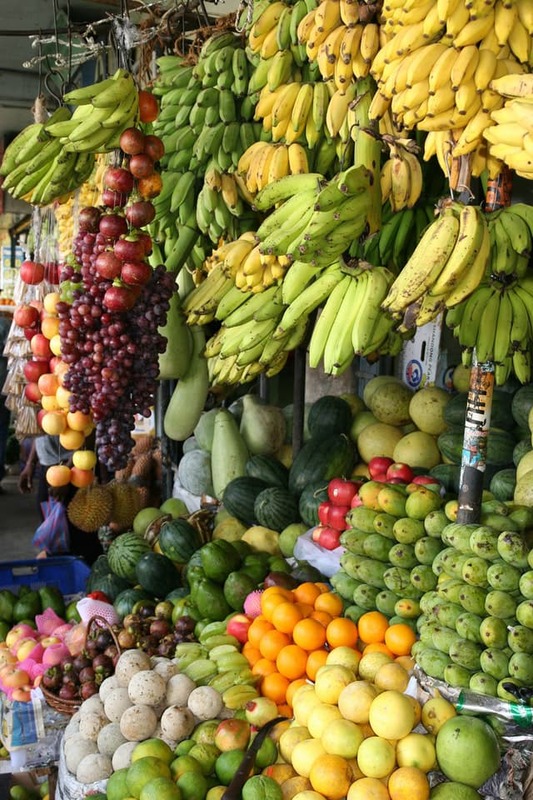 Okay, so how do these tropical fruits stack up nutritionally? The answer is a little more complicated than it might seem. See, as mentioned above, plantains start out green, hard, and starchier. As they ripen, they grow softer and sweeter. Surprisingly, the nutrition profile varies quite a bit between unripe (green) and ripe (yellow/black) plantains. All those numbers are pulled from the USDA National Nutrient Database. Frankly, I was a little surprised they even included two separate entries for green and yellow plantains! You can see that the biggest difference between the two is the sugar content. That variance makes sense—as plantains ripen, they get sweeter, converting some of those carbs into sugars. Beyond that, they also differ a bit between mineral and vitamin content. However, those differences are inconsequential, so instead of comparing I’ll talk about them together. Most notably, this fruit is a wonderful source of carbohydrates, like potatoes. For a highly active person, like me, that makes them a great source of post-workout carbohydrates or extra fuel for my workouts. But beyond carbs, plantains also provide a variety of vitamins and minerals like vitamins A, C, and B-6, magnesium, and potassium. That means a bit more of a nutritional boost than other carbohydrate-heavy foods! Vitamin A – supports vision health, bone growth, cellular growth, and immune system health. Vitamin C – antioxidant that supports immune system and brain health. 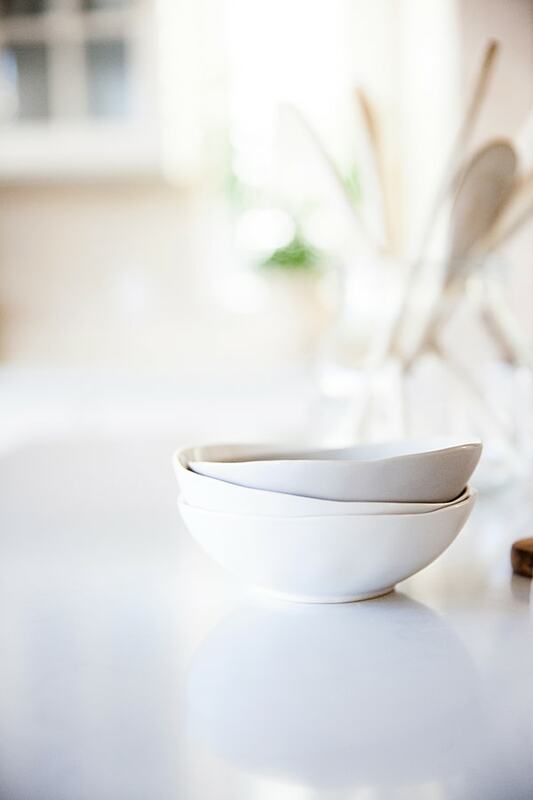 Vitamin B-6 – used for protein and amino acid metabolism, blood health, and cognitive development. Magnesium – promotes bone health, calcium absorption, heart health, stress relief, muscle recovery, and so. much. more. Potassium – helps maintain blood pressure and fluid balance. Foods with complex carbs are comprised of long chains of simple carbs. Foods with simple carbs are already in smaller pieces. Simple carbs are digested rapidly, cause spikes in blood sugar followed by a crash, and contain few nutrients. 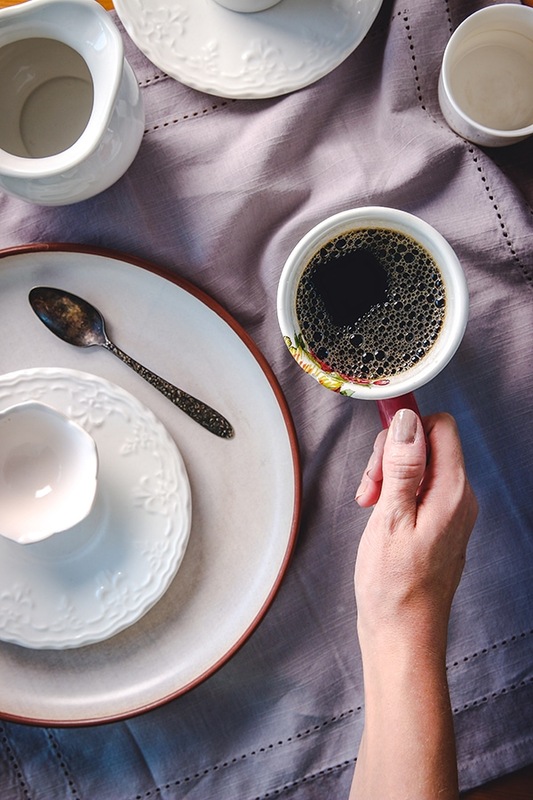 On the other hand, complex carbs take longer to digest due to fiber content and provide the body with more vitamins and minerals along the way. As a complex carb source, plantains are also a way to get fiber in your diet without relying on grains! You probably assume that plantains taste pretty similar to a banana, considering they’re related and look so similar. And it’s true — they do taste kind of like a banana, in the way kale kind of tastes like cabbage. GREEN plantains are starchy and have a more neutral flavor. Like a potato, they become a neutral base to dips, sauces, herbs, and spices. Their neutral flavor makes the green variety excellent for frying! Think plantain fries, chips, and the ever-popular tostones. On the other hand, ripe YELLOW plantains are much sweeter, but certainly not as sweet as bananas. Plantains sport a much more robust flavor than bananas – you’ll see what I mean when you try them! Yellow plantains can still be fried, but the results will be sweeter. Sticky and softer than unripe plantains, you can mash or blend the yellow guys into a batter before cooking. What DON’T I do with plantains? Honestly, a bit like asking how to cook a potato. Unripe, green plantains pose something of a challenge – getting the peel off. The tough peel and sticky sap are a big barrier to the treasure trove inside. The best way I’ve found to get the peel off involves boiling the whole thing. Chop the tips off, slice vertically down the peel, and slice the plantain into 3-4 chunks. Boil these for a few minutes, then drain. The peel should come off quite easily, and you can use the fruit for whatever you planned. In cases where you want to fry the plantain, though, that method won’t work. In that case, I still cut the ends off and slice vertically down the peel. Then use a knife to gently cut and remove the peel. Of course, you can always wait for the plantain to ripen a little bit — as it ripens, it becomes much easier to peel. Just a hint of yellow helps a bunch! And I personally enjoy the little touch of sweetness. If you’re looking for peak versatility, use yellow plantains. Getting that peel off is a lot easier when the fruit is ripe. You should be able to chop the ends off, slice vertically down the peel, and coax it off. Then, you can slice, dice, or chop up plantains and pan-fry them. You can bake them to caramelized perfection. You can slice them and grill them. Or, you can use them as an ingredient in all sorts of different recipes. Mash them up with broth or coconut milk. Make a simple plantain dough for tortillas or plantain empanadas. Add them to stews and soups. Make fritters or cakes or brownies. Seriously, plantains have so many possibilities! PSA: Do NOT throw out blackened plantains. Because they’re so similar to bananas, you could easily assume their cousins shift to gross and inedible once the peel starts turning black. Not true! Actually, the black peels signal to me that I’m going to do some baking. Black plantains, again, are super-sweet and super soft. They blend or mash up smoothly, making them perfect for quick breads, cake batters, or fritters. 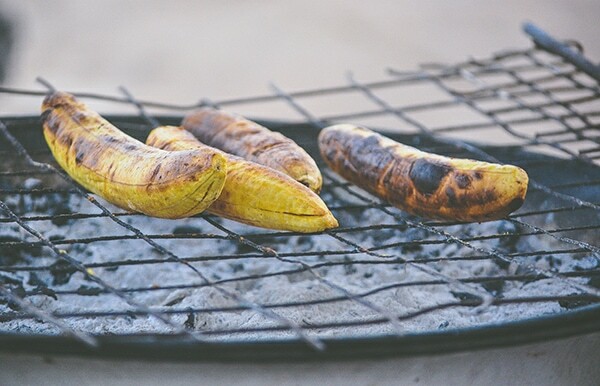 Or, you can simply slice the plantain in half vertically and bake it in the peel. Both the Flourless Plantain Brownies and 3-Ingredient Sweet Plantain Cake mentioned above are great with black plantains, too. So you always have options for those blackened fruits! Don’t worry. Soon I’ll release a massive plantain recipe roundup so you always have ideas for these wonderful fruits! Thanks for this post. I love plantains, although I don’t buy them often. They are great just cut in chunks and fried. I’d love to see your recipes for plantain tortillas or empanadas. Wow, thank you so much! Those empanadas sure look good. Thank you for writing this! I’m originally from Dominican Republic so Plantains is life for me! 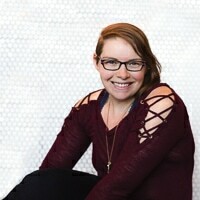 But many of my friends and coworkers think I’m crazy. And although I do try to keep things lower carb, I can never resist eating plantains. In Dominican Republic we say it’s where our power comes from! Don't subscribe All Replies to my comments Notify me of followup comments via e-mail. 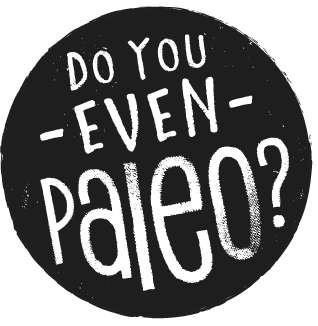 You can also <a href='https://www.doyouevenpaleo.net/comment-subscriptions/?srp=3857&srk=87505361eee98908ddf6ccb8681f50d6&sra=s&srsrc=f'>subscribe</a> without commenting.